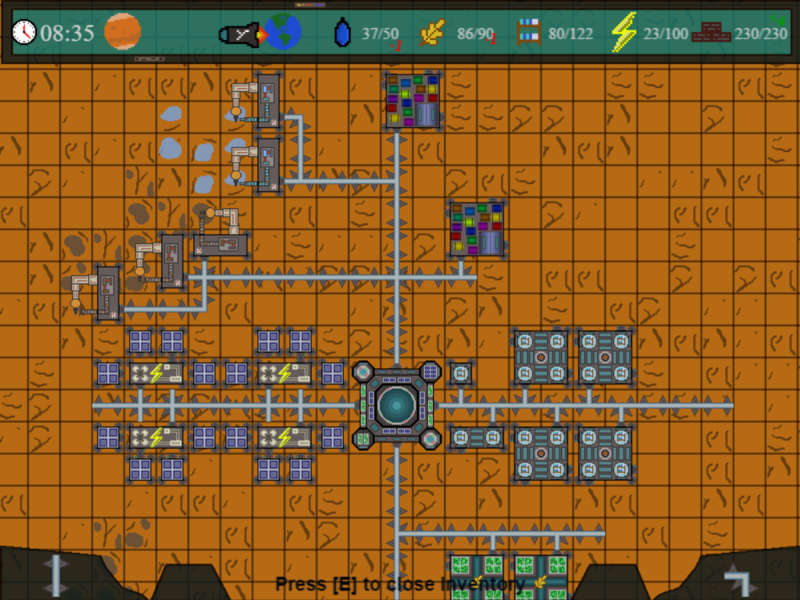 Life on Mars is a top-down Mars building simulator that tasks you with colonizing the red planet. Inhabitants from Earth come at predetermined intervals, and it's your mission to provide them the resources they need to survive. How long will you last? WARNING: Clicking out of the page may cause keyboard inputs to not work in the game. Every two minutes, passengers arrive (the amount of people arriving is indicated when you hover over the timer icon). You must provide enough housing for them before they come, or the game will end upon their arrival. Players should begin by placing water and stone mines. These can only be placed on top of water/stone pools in the terrain. For users to construct buildings, they must connect their landing pad to said structure via walkways. Other important structures are power storage tanks. For these to fill up, they must be surrounded by solar panels. 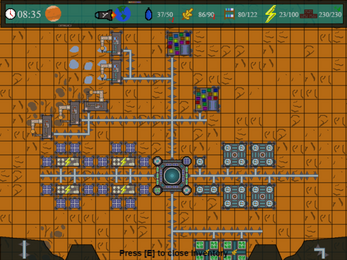 The game also includes a face (in the bottom left-hand corner of the inventory) as a visual indicator of the user's progress. The face becomes sad when a resource is low, so be sure to keep an active eye on resources! The face thing does not work on a more square monitor, I keep losing even though I have enough of everything, I think you have to have more than enough space for the people so the game does not raise it's middle finger.